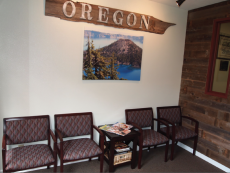 Introducing Dr. Ed McCullough (DCCJP candidate) a NUCCA chiropractic practitioner at Northwest Life Chiropractic located in Medford, Oregon. The NUCCA Procedure is a gentle correction of the craniocervical junction. The craniocervical junction is the critical area of the spine consisting of the top two bones of the neck C1 (atlas) and C2 (axis) and the bone at the base of the skull (occipital). The procedure utilizes a gentle force and controlled contact on the first vertebrae in the neck to restore balance to the spine. Even though the primary focus is the neck, the effects of the correction influence the whole spine and all body systems. The craniocervical junction is unique because it can often be the keystone allowing the body to stabilize in order to heal when in alignment. Freeing the nervous system of interference is critical in optimizing the body to operate better, regardless of circumstances. The central nervous system affects all human function, therefore when it is inhibited, varying conditions or problems may result. But when it’s clear, optimal health and well-being can be realized. In today’s interview I speak with Dr. McCullough about his practice and dedication to helping change the world one client at a time. Hi Dr. McCullough. Thank you, and welcome to LocalsGuide. I am happy to have the opportunity to speak with you today to learn more about upper cervical chiropractic method and the advanced studies in the Diplomate of Chiropractic Craniocervical Junction Procedure (DCCJP). Thank you for inviting me to sit down with you today and the wonderful introduction. It is an amazing time to be an upper cervical chiropractor and to be at the forefront of the healthcare revolution. My CCJ colleagues and I are excited about the collaborative efforts that are advancing our knowledge and understanding more than ever. Fantastic! Tell us about your method, the NUCCA upper cervical technique, and how you got started. NUCCA is an upper cervical chiropractic technique that has allowed me to help thousands of people in over a decade of practicing. Right out of school, I did my internship with Dr. Matthew McNally, DCCJP in Tomah, Wisconsin. People would regularly travel 4-7 hours to seek care with him that they could not find anywhere else. So that became my benchmark for the quality of care that I would need to deliver to have people seek out my care as well. The technique is based on the specific needs of each individual patient. We utilize precision x-ray images to derive a unique corrective vector. Then with the aid of a special table and headpiece, our aim is to restore optimal health. The table has a unique ability to lower to approximate 12 inches from the floor to obtain proper mechanical advantage for the practitioner along with a specially designed headpiece that acts as a fulcrum to aid in the re-alignment of the head and spine. Specifically, if we can detect it, we can work to correct it. As I understand it, upper cervical chiropractic is still a very small subset of Chiropractic Physicians. What are the numbers and why is that? 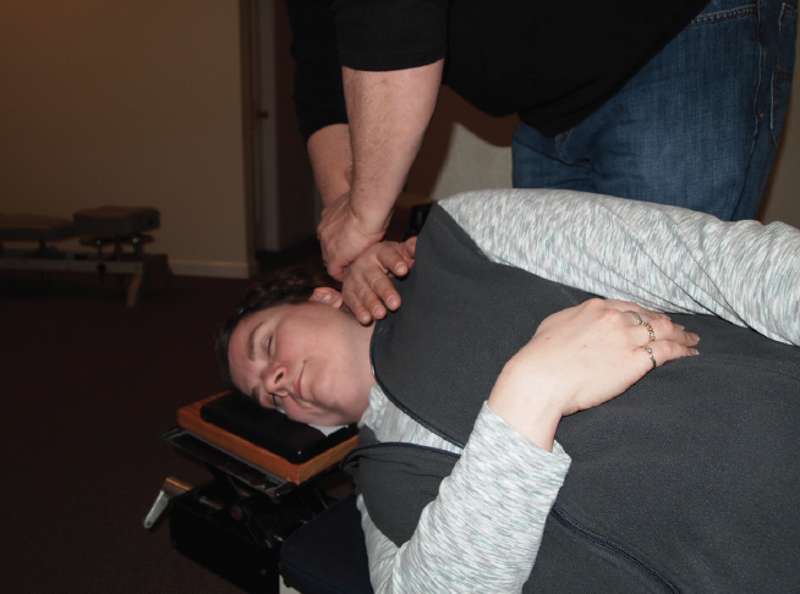 Of approximately 86,000 chiropractors worldwide, there are roughly 2,000 upper cervical chiropractors that focus on the head and neck specifically. Of the 2,000 upper cervical chiropractors, there are only about 200 NUCCA doctors worldwide. Even more exclusive of a group of practitioners, is the advanced diplomate program. The Diplomate of Chiropractic Craniocervical Junction Procedure (DCCJP) has roughly 20 members from a cross selection of the upper cervical techniques. I have 27 colleagues from across North America that are in the second DCCJP with me. Our three-year-long program (of which we are half way through the 2nd year) culminates with every candidate becoming a published doctor in a peer-reviewed journal on PubMed. It is the road less travelled for certain. Wow, that is a lot of time and dedication. What keeps you motivated to do that? The universe has a way of keeping you humble. It seems the better one gets, the harder the cases seem to get. I really have a thirst for knowledge and a strong desire to strive for mastery in my craft. The fact is, nearly ALL chiropractors have miraculous patient stories where they help someone beyond measure. The palpable difference is that with CCJ doctors, the miracle stories are more the rule than the exception. Why is it not more prevalent due to the success that upper cervical doctors seem to experience? Most of the curriculums of the chiropractic colleges are focused on a bottom-up approach as opposed to our top-down approach. The curriculums are designed to teach to what is popular not only in culture, but in the research. So without additional training, it is difficult to come out of school and start an upper cervical practice. Also, much of the research stems around the great success chiropractic has had with low back pain. My colleagues and I of the DCCJP are dedicated to changing that dialogue. You get some really complex and challenging cases, don’t you? I’ve experienced many, many complex cases. My CCJ colleagues have as well. We often end up with patients that have been everywhere, seen all the specialists, and still haven’t gotten answers. Their problems may have slipped by undetected because the craniocervical junction was never properly evaluated. The problem may lie in alignment/ misalignment of their head and neck. Their previous x-ray and MRI reports may come back to them with “no findings”. That is true for what they are looking for (ie. fractures, tumors, etc.) however; precise X-rays can reveal slight bio-mechanical changes to the CCJ that can have dramatic impact on the body. These types of people are often suffering significantly yet on the surface look totally “normal”. You’ve mentioned this advanced diplomate of the Chiropractic Craniocervical Junction Procedure. What is it? This group that I am proud to be a part of, will help lead the profession in the years to come. It is a cross collaboration of all the upper cervical techniques coming together to grow this profession. This program is through the International Chiropractic Association and was the brainchild of Drs. Julie Mayer-Hunt and Bo Rochester. They are two of the most gifted and giving doctors in our profession that saw a need for collaborative growth within our profession. Although Drs. Hunt and Rochester both have their respective busy practices, they realized that we needed this collaboration in order to grow. That sounds exciting! It seems like there could be huge growth out of a program like that. Absolutely! 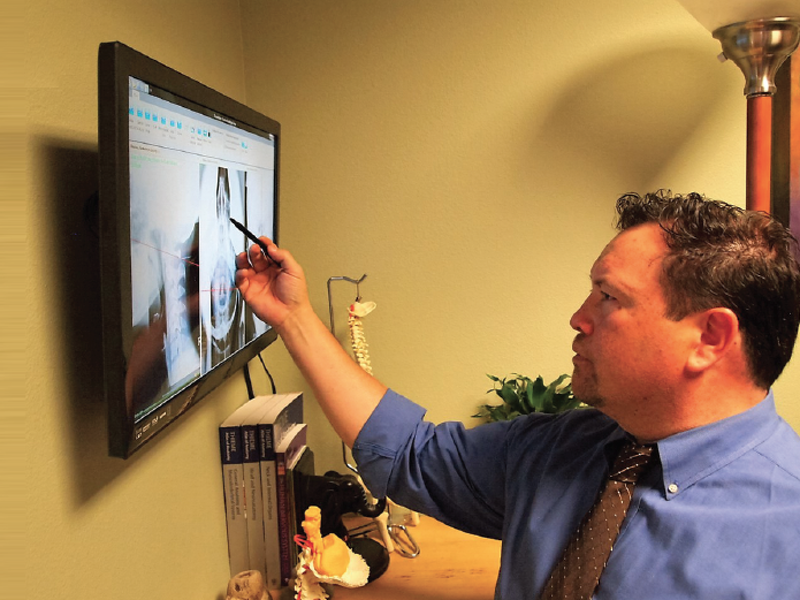 I am regularly surrounded by some of the most brilliant minds in upper cervical work throughout the country. As a matter of fact, I am part of a small group (from multiple Upper Cervical techniques) of those doctors that are working in collaboration on reviewing and presenting research to publish before we graduate from the program. (I’ll fill you in on our current project topic in the near future;). Wow, fantastic… there is a lot happening there. So what gets you excited about going to work every day? I absolutely love what I do. I love serving people and helping them get their lives back. There really isn’t a better feeling than a patient reporting they have returned from the brink of darkness and they now have re-engaged with their family and friends. You see, people rarely come to see me because of pain. Pain may be the motivator, but unfortunately people live with pain every day. Typically what motivates someone to finally take the step to come in is that the pain is keeping him or her from doing something that they value (i.e. getting down on the floor and playing with their kids, going outside with family, gardening, dancing, etc.). How would someone know if they would be a good candidate for your care? Maybe if they have recently been in a motor vehicle accident? Yes. I feel that every single person that is involved in a motor vehicle accident, at a minimum, be evaluated by a CCJ doctor. That being said, people that are having symptoms, and have had an injury decades ago, should also be seen. A recent trauma, stress, or toxin could set the body up for a cascade of events to cause a downward spiral. Gaining an understanding of what is going on for your patients is key in leading to great results. An absolutely critical part of helping anybody is discovery. What are the elements and events that have shaped someone to the person that presents in front of me for the consultation exam and x-ray? We then put that together with how the body is currently functioning along with precise understanding of the structure and its alignment. My personal goal is to help every single person in this community that has a problem in my wheelhouse. If I can detect it, I can work to correct it. However, if there’s not a problem I feel very confident in the professional network that we’ve developed to get that person to the right healthcare provider. In the introduction we gave a basic introduction to NUCCA. But why is the neck such a key point in the mechanics of the body? The reason why the craniocervical junction is so critical is because it is the headwater of all communication from the brain to every cell every tissue organ in the body. We know from spinal cord injuries that the higher the level, the more parts of the body are affected, and the more devastating the injury can be. If there is a compromise at the top of the neck, it can have tremendous and global implications. Not that one has to suffer with all of these conditions, but the conditions I’m about to list are some of the most common that we are able to help with: headaches and migraines, TMJD, vertigo, sleep disturbance, immune function, and Trigeminal Neuralgia. There are two main areas where the craniocervical junction can have an impact on the body both biomechanically and neurologically. The head weighs between 10 and 15 pounds, about the weight of a bowling ball. Now imagine the bowling ball balanced perfectly over a broomstick. If that bowling ball is perfectly balanced, it does not take very much energy to hold that upright. However, if pushed off center it takes a tremendous amount of energy to hold that bowling ball up. Now cut that broomstick into 33 pieces and hold it together with muscles and ligaments… You now have a better understanding of the stress that gravity puts on the spine and body. What about your personal life? We should also mention your wife Jake McCullough is also a chiropractor though she is not currently practicing. That is correct, She is busy coordinating all the moving parts of our personal and professional lives. As our twins, Reece and Peyton, started kindergarten this year and our oldest has a busy athletic schedule, Jake’s focus has been on getting everybody settled and happy. She is trained as an upper cervical doctor as well and helps run the office? Let me answer that with a dated analogy. Do you remember what a fabulous and talented dancer Fred Astaire was? And his dancing partner – Ginger Rogers – did everything that Fred did, but backwards and in heels? That’s my wife. I am truly blessed with a beautiful family. 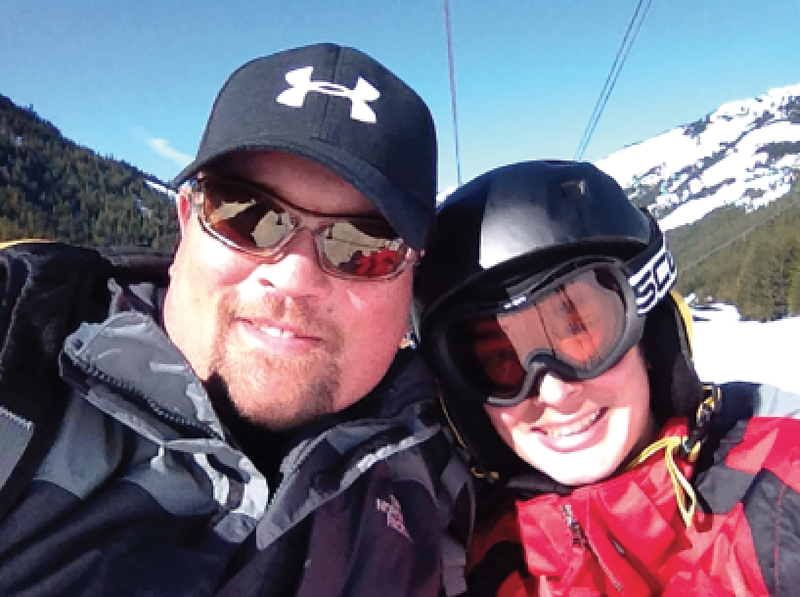 My better half, Jake, and I have a 16 year-old athlete that runs for Coach Loftus at Crater Lake High School. We also have twins (one girl and one boy) in kindergarten, and a 3 year-old black lab (he’ll grow out of the spastic puppy phase soon, right?). It sounds like you really enjoy taking the time to share with and educate your patients. I really do. I try to empower people as much as possible. It’s important to understand how the body communicates and functions and that it is a whole system that is integrated, not just separate parts. In my office I want them to understand what I have found and the reason for my recommendation. What are your key skillsets as a practitioner? First and foremost, I care about my patients. I recognize that usually by the time they come into see me, the problem has started to affect the quality of their lives. Second, patients have said that I’m a good listener and communicator of complicated processes like the craniocervical junction in a way they can understand. Third, I’ve experienced debilitating pain. I can truly empathize (at least to a degree) with what many patients go through. Because I want the best for my patients, I continue to learn as much as possible and try to stay on the cutting edge to deliver the best care available anywhere. I keep in mind the type of care I would like my own mother to receive. Do you have a favorite success story that you would like to share with us? When I was about six months into practice I had a patient come in with severe migraines and horrible neck pain. He had been is some significant accidents. He had already had segments of his neck surgically fused. The pain intensified and now he was on a lot of medication as well. Shortly into the consultation he informed me that he built a special dark room for when the migraines and pain would arrive with a vengeance. In the middle of taking his history, he interrupts his history of accidents and says something that I’ll never forget. He told me that he couldn’t go on living like this and that his family would be better off without him because he couldn’t be the father to his son and he couldn’t be the husband to his wife. That was a profound statement from someone that was still hopeful for help but on the edge of despair. Long story short, he started the process with a phone call. Then we examined him and assessed his particular situation. He was a candidate for the type of care I provide. We “got his head on straight” and he got his life back! Wow… that is amazing. That sure transformed his life. It sure did, and it changed mine too. It was just such a profound demonstration of the power of the body and it’s resilience to heal when in alignment. Of course that is the extreme. The more common occurrence in our office would be headaches/ migraines. I currently have a patient that’s a working professional. She’s been suffering with migraines and headaches for over a decade. The headaches and migraines can be so debilitating that it affects her family time and affects her ability to work. She would get medication from the doctor and have to ration her medication to last between prescriptions. She informed me three weeks into care that it was the first time that she’d had a surplus of medication instead of rationing the medication between prescription fills. Six months later she hardly ever uses the medication anymore. She is engaged in her life again with her husband, kids, grandkids, and work. “I’m writing this for people who come through this office and need hope. Don’t leave without making another appointment for care. Don’t do it! Make your appointment you won’t regret it. A year ago I was in so much pain; I was praying that I would not wake up each morning. I was praying for God to take me and if he wasn’t ready to take me to help me if this is how he wanted me to live. I was directed to this office as a last resort. I work, I’m married, I’ve have always enjoyed life. I didn’t then. I hid my pain, my suffering: started medication, quit that. Then I started coming here. Initially I came twice a week, now just once a month. I am almost pain-free. I have a new life. I can hardly believe it. It’s been 20 plus years of pain! If I could pay for your care I would. No amount of money is worth living each day waiting to die. Borrow it, find it, you won’t regret it. If Dr. Ed says that he can help you, trust him. Commit to come. It’s hard. Try to imagine your life without pain every minute of the day. Go for it! It has taken me over 20 years to find someone who helped me, truly. He made a lasting difference in my life. Finally are there any last thoughts or advice you would like to share with our readers? Well, I have the utmost respect for you and your readers. I hope that if there was anybody reading this little article that has been suffering from physical pain, headaches, migraines, that they gained something from this article. I would also invite them to take the chance and schedule a complimentary consultation to see if there was anything we could do to help.